Sample Menu Unicorn Burger £9 Rainbow bagel, glitter, beef, cheese, house red onion jam Camp as Christmas £9 Red bun, glitter, beef, brie, cranberry and bacon jam Hot Beef Cake £8 Beef, cheese, Frank's Hot Sauce, house red onion jam, brioche bun PB&J £8 Beef, cheese, peanut butter, house red onion jam, brioche bun Beef Chegwin £8 Beef, cheese, house red onion jam, brioche bun Fricken Veggie £8 Crispy fake chicken, cheese, house red onion jam, brioche bun Skin-on Cajun Fries £2 A variety of self-service condiments are included in the price including ketchup, garlic mayo, mustard, pickles and jalapeños. 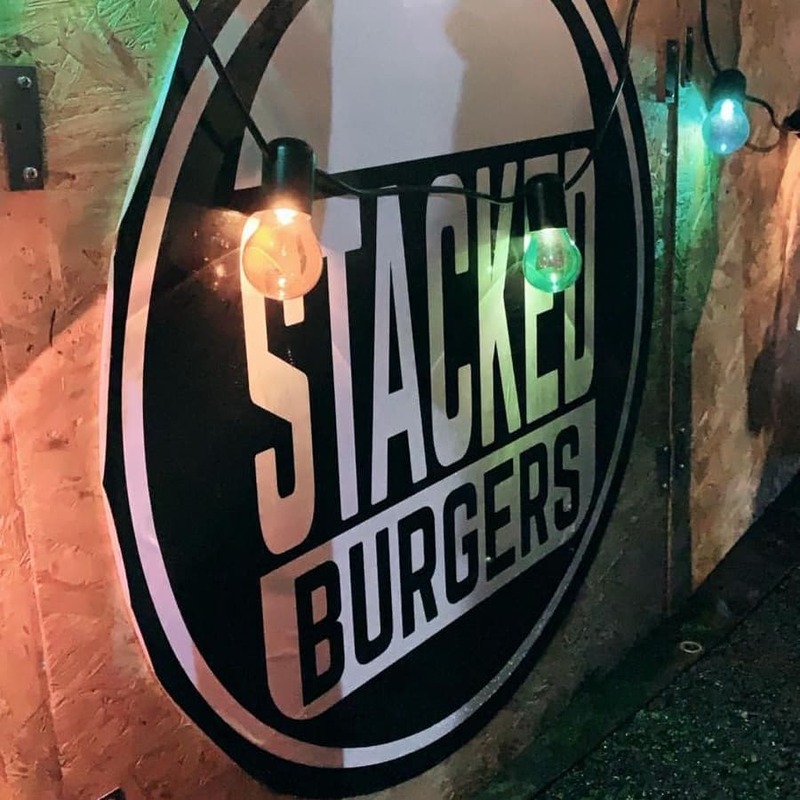 Stacked Burgers are a handmade, chuck steak burger company trading on Brick Lane and at events across the country. 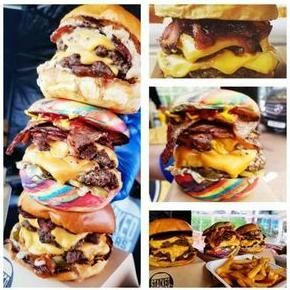 They do not serve your average burger, instead, their aim is to bring a new exciting twist to burgers by making them fun and quirky. Stacked Burgers use excellent quality minced chuck steak from their local butcher to create the perfect dirty burger with an innovative, instagrammable twist! Their menu includes unique creations such as the Unicorn Burger, with a rainbow bagel and edible glitter, and the peanut butter and onion jam burger. Yes, you read correctly, edible glitter! The team can also create personalised menu items based on your theme and preferences with colourful buns, themed accessories and an unlimited variety of flavour combinations to suit your occasion, the sky's the limit! 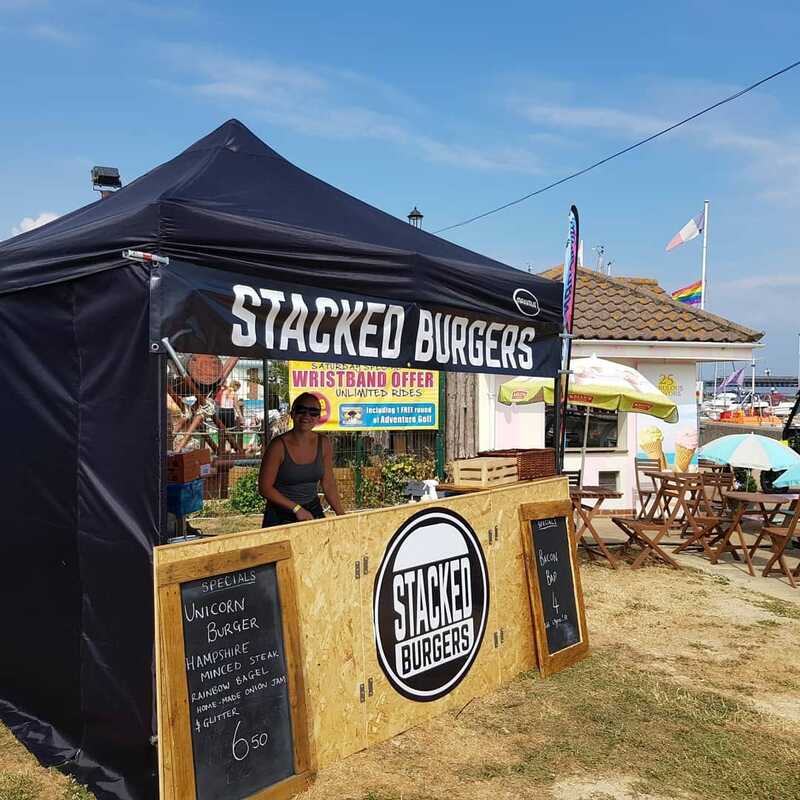 If you’d like some delicious and absolutely amazing looking burgers to be served by the wonderful Stacked Burgers team at your next event, then don't hesitate to get in touch!